Masses of maroon coloured flowers which have a fragrance similar to ripe apples. 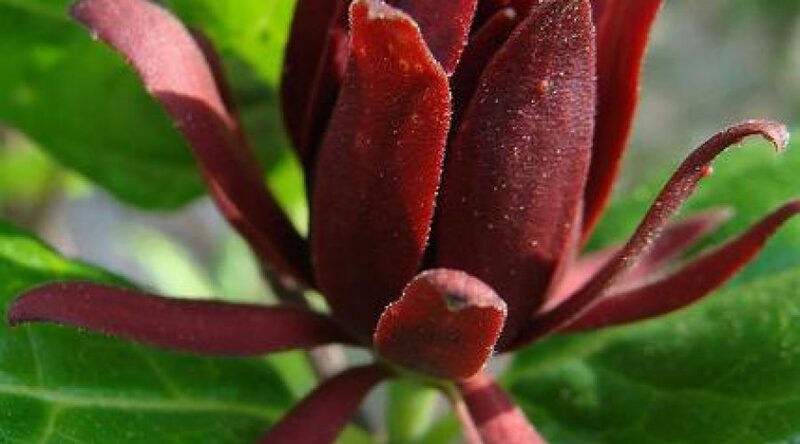 It has glossy dark green leaves which are aromatic when bruised,lookslike its evergreen but is deciduous.The maroon flowers appear june-july Any soil full sun to part shade. hgt 10 feet prune to size after flowering if required.